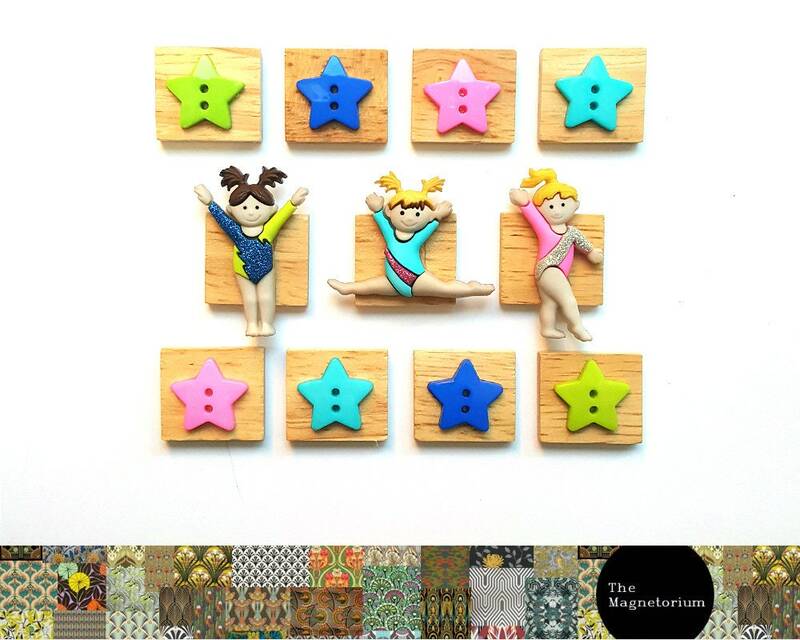 You will receive this gorgeous dance themed fridge magnet set. Each magnet is created from a 20mm x 18mm quality wood tile and decorated with an embellishment.These magnets are super strong and have the capacity to hold up to five A4 sheets of standard copy paper (80gsm), so what you put on the fridge - stays on the fridge. They're perfect! Came on time and very professionally wrapped. Thank you! Great magnets - Daughter-In-Law loves them to hang granddaughters artwork on her fridge.